This summer the Leaning Tower of Pisa and the Monumental Camposanto Complex are open exceptionally during the evening, from 8 to 10pm. Every day until September 1 special guided visits are being offered to both the tower and to the Camposanto (holy ground) giving visitors, tourists and locals alike, the chance to admire Piazza dei Miracoli under a starry sky. Guided visits are not free so you do need to pay for them. The cost for tickets is the following: 18€ to visit the Bell Tower as well as the Camposanto, 5€ to just visit the Camposanto. The extra hours go from 8 to 10pm, with the last entrance at 9:30pm. Remember that children under 8 years old cannot go up the Leaning Tower. Tickets for night visits to the Tower and the Camposanto can be bought at the ticket offices in Piazza del Duomo. 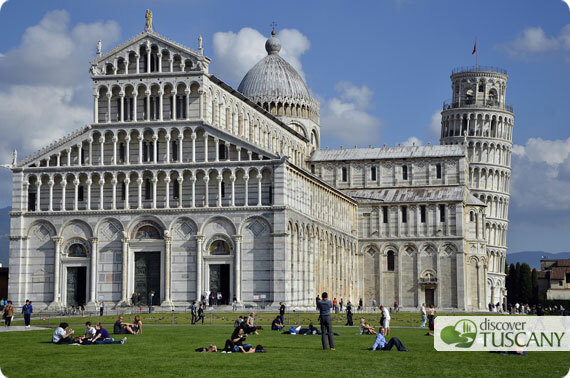 It is also possible to buy online tickets for visits during normal day time to the Leaning Tower of Pisa; you can do so through our partner Florence Tickets here.